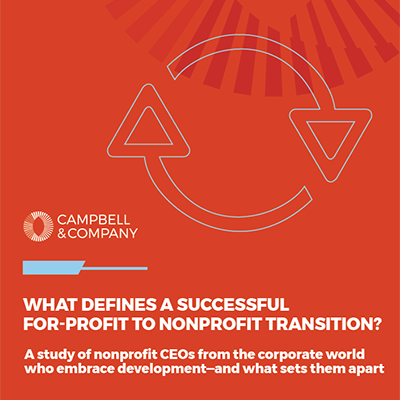 Because of our close network with nonprofits, the executive search team at Campbell & Company is “in the know” with current trends going on in the nonprofit community. 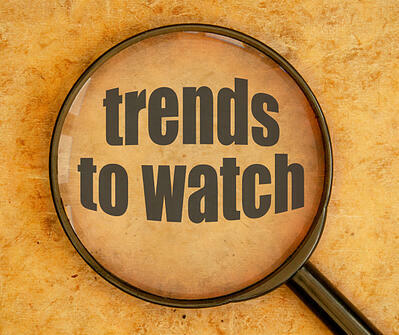 Below we outline a few trends we believe are important to watch over this next year. The right fit between a Chief Development Officer and a nonprofit organization necessitates common goals, a shared vision, and open, consistent communication. In spite of these widely acknowledged truths, however, for the last ten years many CDO tenures have become notably short-lived. 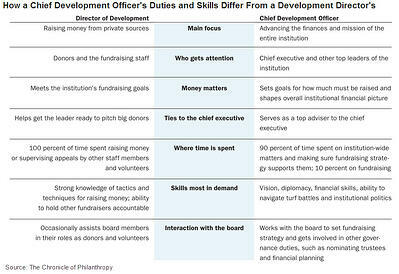 According to the Association of Fundraising Professionals (AFP), the average tenure of nonprofit Chief Development Officers (CDOs) has shortened to two to three years over the past decade. 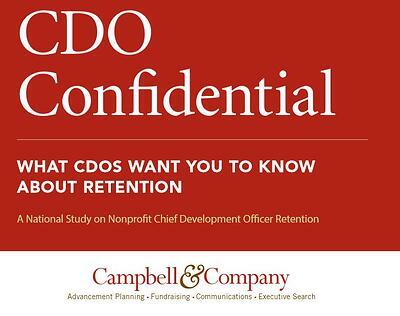 In the past decade, according to the Association of Fundraising Professionals, the average tenure of nonprofit Chief Development Officers (CDOs) has shortened to about two to three years. Nonprofit human resources and executive search professionals have grown increasingly curious about why this has been happening. Some have suggested that this presents organizations with problems; however, we could be seeing a trend that will require nonprofits to evolve.